Happy Anniversary, Barbara & Peter. Happy Anniversary! Ours is tomorrow. Al, Happy Anniversary for tomorrow 7th April! I always assume that means fine words won’t help when you’re starving. But then again, if you’re starving you wouldn’t need the butter. Nick, I think you have the right idea. Mammy used it to stop me talking and get on with preparing the food for our gang! I’m not sure I understand the one liner . 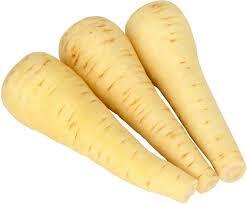 . . but I love parsnips. With butter. I take it as: Idle chatter does not get the work done! Dianne, I was thinking of roasting some to go with my dinner this evening! Naturally, I read this and the post on Nana in sequence and left a comment in the latter linking these two. Well done.